DETAILS ABOUT AN INTERESTING SONG FROM SIVAKARTHIKEYAN - NAYANTHARA FILM! 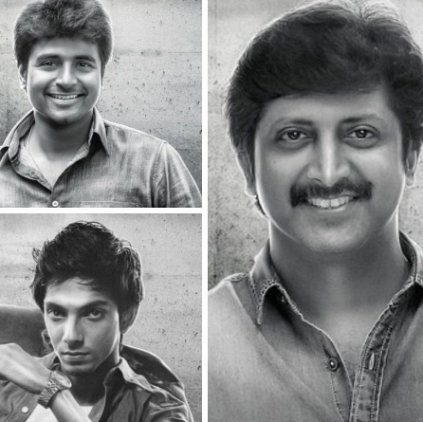 As we had reported earlier, Mohan Raja's film with Sivakarthikeyan deals with the life of a youngster living in the slum area. The team is currently shooting in Vadapalani Prasad Studios in a slum set featuring the lead actors including Sivakarthikeyan and others. Sources close to us hint that the team recently shot a mass folk number in the slum sets, which was choreographed by Shobi master. Apparently, this number is written by Viveka and has Anirudh's music. Sivakarthikeyan is said to have performed his dance moves with full energy. Going by these hints looks like we might have another thara local number like Royapuram Peter.